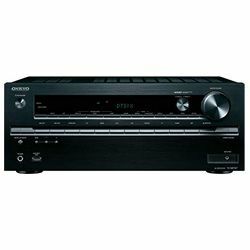 Comparing Denon AVRX1500 vs Onkyo TX-NR575, take a note that these receivers are designed for home use but with the same power to the channel - 80W, they have different impedance - 8 Ohms (Denon) versus 6 Ohms (Onkyo), which allows the receivers to work with different speakers. 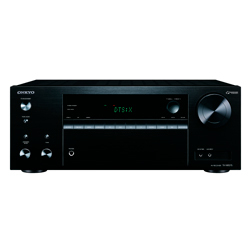 Denon AVR-X1500H has a 7.2-channel configuration and supports all popular surround formats. 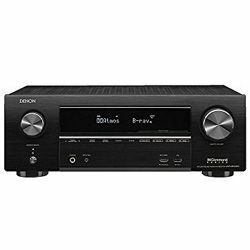 Amplifiers in the Denon AVR-X1500H are made on diskette components and provide a significant output current, which let working effectively with the most varied acoustics. 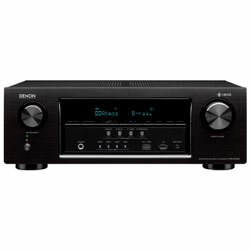 Denon AVR-X1500H has a dynamic and balanced sound with comfortable sound on high frequency and powerful, focused bass. 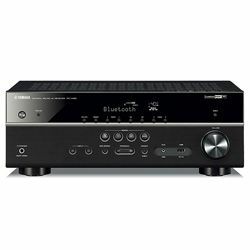 Onkyo TX-NR575 is 7.2-channel receiver with support for decoders of object-oriented formats Dolby Atmos and DTS: X. The receiver has a rich, timbre rich, balanced and detailed sound of multi-channel soundtracks. 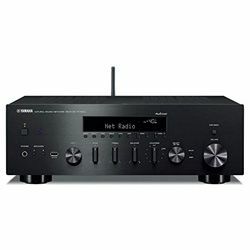 In Onkyo TX-NR575 vs Denon AVRX1500 review, I want to highlight that the network capabilities for listening to music in both receivers are similar - Ethernet, Wi-Fi, and Bluetooth. Denon AVRX1500 is equipped with 6 HDMI and 1 HDMI-output. Also, note the presence of a built-in phono stage for the MM pickup. The receiver can be used as part of a proprietary HEOS wireless system that can be controlled via the app. Onkyo TX-NR575 supports many streaming technologies, including Chromecast, Spotify, etc. FireConnect technology is also available. Onkyo has 6 HDMI inputs. 4K signal transmission is provided, including HDR10 and Dolby Vision. HDMI outputs support the Audio Return Channel technology. There are also 2 component and composite video, 6 analogs, 3 digital inputs that allow connecting almost all the necessary equipment. Onkyo TX-NR575 has a strict, minimalist design. The receiver is made in a large metal housing with a plastic panel. The front panel has a display with a number of keys below it, a volume control on the right, and a few additional buttons on the left. If I compare the front panels of devices, it becomes obvious that the front panel of the AVRX1500 has already 2 knobs and fewer buttons than Onkyo. They are located to the left and right of the display. Under the display, there is also a row of buttons, USB, and HDMI. The receiver has the upscaling video function up to 4k, which improves the quality of the content. The remote control is made of low-quality plastic and has no key backlighting. The screen menu has low resolution. Chromecast has built-in voice support for Google Home. The Wi-Fi module does not hold the network well. Connection sometimes breaks.